I capture it from a mall terrace at 3th floor (Bogor, West Java, Indonesia). 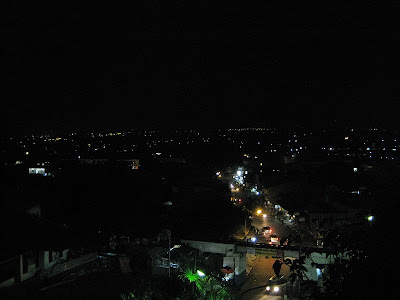 Just share the beauty of lights in the dark night. The beauty of lights! Love that phrase. the mall is quiet tall, that's already way below ... nice one Lina. My Mellow Yellow post, have a great week ahead! I find night lighting very festive. Happy Monday! wow! awesome shot Lina...thanks for sharing! Is there any impact by today's earthquake at your place?